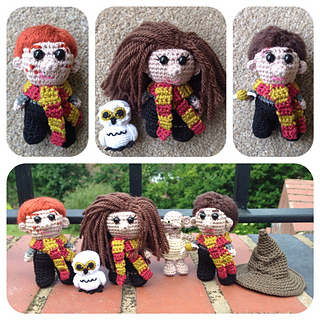 This Mini Wizard Friends Collection is so much fun! 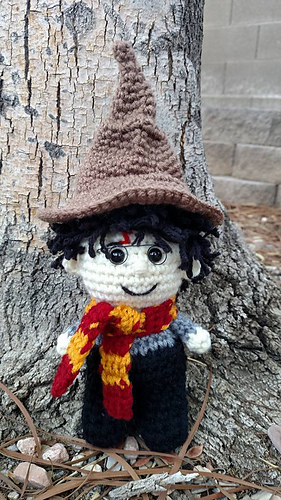 Finished wizards are about 5” tall without hat, Elf is 4” tall, Owl is 4 ½” tall if using worsted weight yarn. 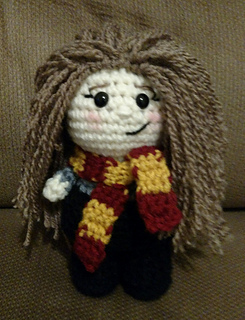 Owl is 2 ½” tall if using fine weight yarn. Ball is ½” tall and 1 ½” wide using fine weight yarn. 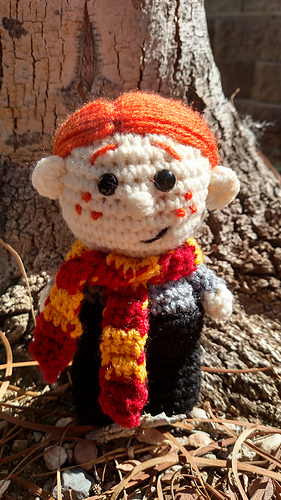 Dolls are made using amigurumi, working in the round. 19 pages, 75+ PHOTOS and STITCH COUNT for every row, are included to help you finish your project. The characters in this pattern are created solely as fan art and are not meant to be exact or direct representations of any copyrighted characters or entities.